If you have any prior training please set that aside and try to open your mind to a new form of thought in regards to the concept of “fighting”. Our system is the accumulation of over 35,000 hours of research in physics, psychology, and applied geometry to human function under stress. Of the 35,000 hours, 600 hours was licensed to the Department of Defense as a subject matter expert hand to weapon school for US Special Forces. This program was named SCARS, an acronym for Special Combat Aggressive Reactionary Systems found under CNET #K-431-0096. When tasked to develop SCARS, the creator Jerry Peterson, knowing men’s lives would be at stake set his EGO and all his prior training aside. Jerry forced himself to look at how one must both mentally, and physically learn to be prepared to fight for one’s life and more importantly for combat; utilize one’s brain and body to multi-task in a true over run combat movement. By analyzing how the body uses certain visual processes in action, how we make our bio-electrical thought process create an action, and the human's afferent and efferent nervous system response, the founder discovered a better way to train for survival. Doing so disproved many defense training beliefs and old school methods of learning to fight. It was then proven in real action that Peterson’s process made men up to 50% faster at taking the correct action under stress. We are not claiming to develop the punch or kick or leverage etc. What we did develop is a way to train your brain to be more effective under stress and utilized scientific application to complex environments. Therefore, ruling out improper movements that can get you killed under stress found in many of the current stand up and ground fighting systems taught today. SCARS is not a stand up system or a ground system, it is a complete 360 degree system of application of all human function under stress on land, sea, air and including zero gravity conflicts. SCARS also includes mental reprogramming training and physical fitness that enhances your ability to function. Understand we love and respect all fighting systems, many are very effective. 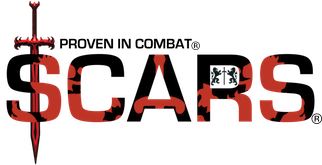 Due to the limitations that are brought on by a style, old methods of thought, philosophy, rules and basically the concept of art, hopefully you can begin to understand why SCARS is not just a mixed martial art or a form of “self-defense”. SCARS is the total application of science to the performance side of physical and mental function under stress. 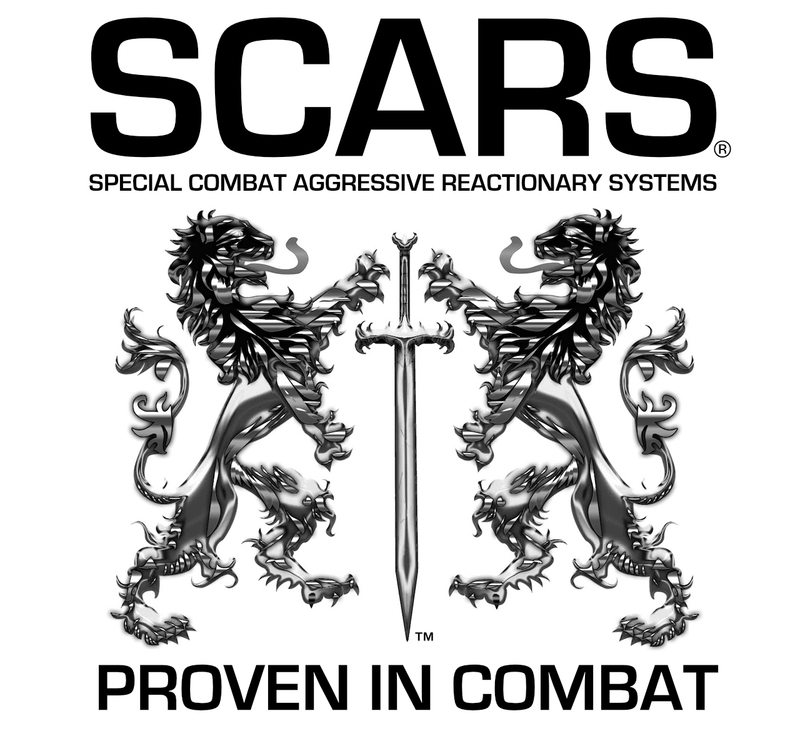 Whether you are an Operator, Agent, Officer, expert Fighter or just looking for practical survival knowledge SCARS will increase your knowledge base and performance when your life is on the line! Learn more about the development of SCARS for the Department of Defense. Learn more about the History of founder Jerry Peterson.